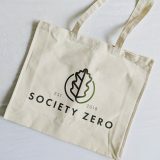 Society Zero CIC is a zero waste shop social enterprise. We provide workshops and events on living zero waste as well as hold market stalls at various events promoted through our social media outlets and website. We will have our online shop available soon for deliveries and click & collect and are working towards our mobile zero waste shop.